Creative Virtual is one of only four companies in London to be recognised by The Queen’s Awards for Enterprise in the category of Innovation in 2017. The company was selected for this honour not only for our innovative technology, but also because of the hard work and dedication of our global team. Creative Virtual’s experienced, expert team is what sets the organisation apart from others in the industry. 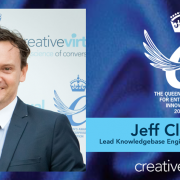 As part of the five-year celebration of our Queen’s Awards for Enterprise, we’re talking with some members of the Creative Virtual team about the technology, their involvement in the industry and what winning this award means to them. 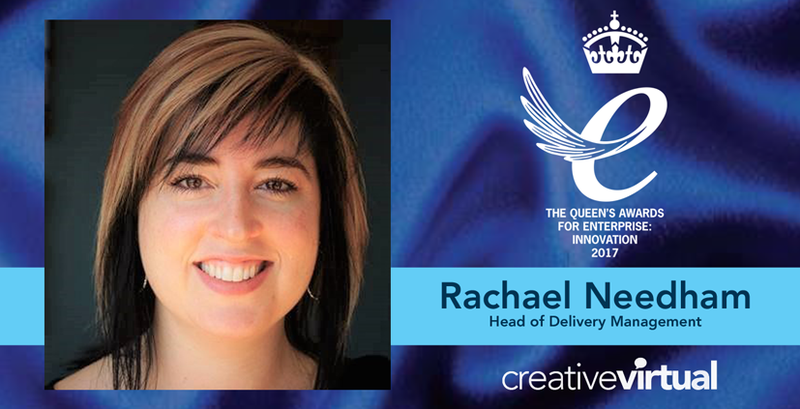 Today we introduce Rachael Needham, Head of Delivery Management with Creative Virtual USA. In 2007, ready for a career change, Rachael took a leap of faith and spent the last of her savings on a flight to London to interview for a position with Creative Virtual. The rest, as the saying goes, is history! Rachael has filled a variety of roles over the years, helping to build both successful virtual agents and a strong team in the US. In her current position, she oversees Creative Virtual USA’s implementations and coordinates with various teams and departments to ensure each deployment is delivered efficiently and in alignment with each customer’s requirements and goals. She shared with me the benefits of developing a healthy emotional intelligence and how Creative Virtual is evolving within an industry the company helped to create. How has Creative Virtual evolved and grown as a company since your early days? When I first started with Creative Virtual, the company was still small and there was a lot of responsibility placed on the Knowledgebase Managers. There were lots of individual jobs that weren’t specified; everyone pitched in where they were needed. I’m pleased to say that I helped develop some of the reports with our Analyst, Lester [Lane] in those early days that we still use today! As the company grew, and we started working with an increasing number of large enterprises in the US, it became clear that we needed to start separating out those job roles. In the US, companies are aggressive in their quest to be cutting-edge, so we designed our team structure with that in mind. By separating out job roles as Creative Virtual grew, we made our workflow more relevant to corporate industry while also allowing for career progression. 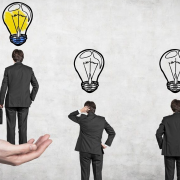 Even though team members are still capable of taking on a variety of responsibilities, they are now able to develop more specialized expertise and take ownership of their piece of the workflow. Our team members are invested in our projects. We can see this difference in the Delivery Manager role, where DMs go beyond traditional project management and play a strategic role. I read an article a couple of years ago outlining three qualities that I feel define how we operate: extreme ownership, infectious enthusiasm, and growth mindset. I believe this is what has carried us as a company. Something that hasn’t changed, but which has helped the company grow, is that Creative Virtual has always been client-driven. By asking “What do clients really need?”, we’ve tailored what we do to our customers. We’ve developed our processes in a way that makes it easy for them to work with us. I’ve been involved with the development and documentation of the process flows and finding ways to address any pain points. I’ve also been involved with changing how we scope projects in the US which has created more visibility, built more confidence with our clients, and helped us address frustrations. While this was initially a tough change, and received some resistance, we now have a scoping process in place that’s allowing us to deliver implementations more efficiently and helping us build better relationships with our clients. 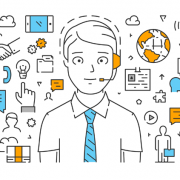 What changes have you experienced in the chatbot and virtual agent industry? “Chatbot” was a negative term when I started in the industry – nobody wanted to buy a chatbot! Using “virtual agent” and “virtual assistant” was more acceptable but the technology wasn’t widely recognized or understood. The companies that were looking at their digital strategy then were early adopters that are very much at the forefront of the industry today. Creative Virtual helped create the industry and develop the market. At the time, we were focused on proving virtual agent technology worked. Now people have bought into automation and know that chatbots, when done well, are part of an improved customer experience. The industry has changed and shifted, so we are now facing new challenges. Today, we are more focused on educating the market on what solutions to use and how to implement them. We’re also finding ourselves competing against lots of new start-ups. I’m curious to see what happens with these start-ups as the industry continues to shift. What sets Creative Virtual apart in today’s crowded chatbot marketplace? Most of the new start-ups are building a chatbot product but not the service around it, so they don’t have that support of a managed service. In that respect, they can’t compete with Creative Virtual’s offering. 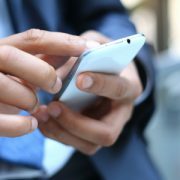 We have industry knowledge – for example, what is needed for a telco is different than what needed for a financial company, yet there are basics which can benefit both. 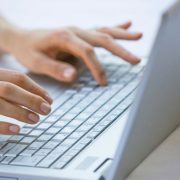 We look at a client’s website and their goals, and then we tailor a solution specifically for them. It’s that human connection that makes companies want to do business with us. The relationships we build with our clients are key. They know we are experts and trust us to help them with their online digital strategy. They come to us with questions and follow our advice because they have confidence in our knowledge and experience. As my team will tell you, I’m a big proponent of emotional intelligence. How we handle situations and deal with stress without letting it affect our work is extremely important. I believe strongly that developing a healthy emotional intelligence is imperative and a big factor in building positive relationships. 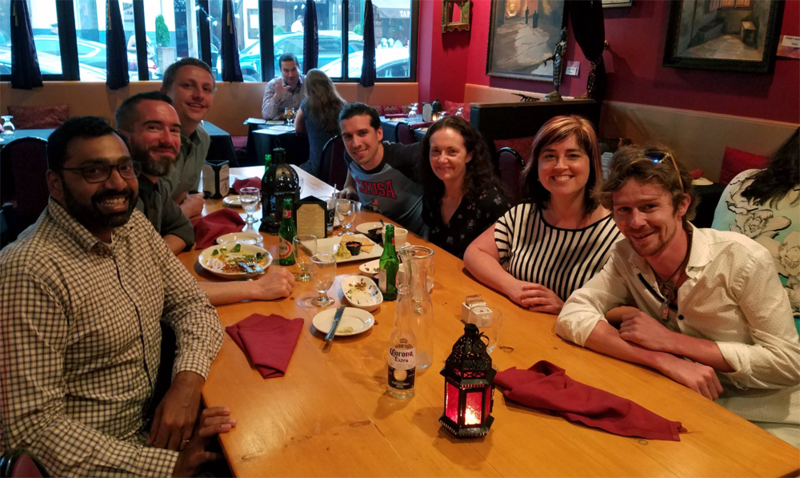 Creative Virtual has a technology product that companies want, but it’s the people on our team who they interact with. Our team plus the software is a winning combination. To stay competitive, Creative Virtual needs to continue our development work, adding new features and integrations, which is something we’ve always done. 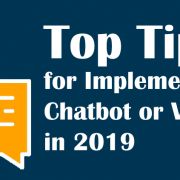 People have the impression that AI [artificial intelligence], chatbots, and machine learning can do things on their own, but the reality is that for now humans need to be involved to make sure the solutions are successful. I hope to always keep a human element to our technology, continuing to be successful by grounding it in human-ness. What does Creative Virtual winning The Queen’s Awards for Enterprise: Innovation 2017 mean to you? Winning the Queen’s Awards is definitely cool! In the US, the idea of royalty is a thing of fantasy. I loved seeing the photos of Chris [Ezekiel, Founder & CEO] and Peter [Behrend, CTO] meeting the Queen; it made something that was distant feel more real. I think corporate America doesn’t realize the prestige of a Queen’s award, so we didn’t feel the full impact here. But it was exciting to receive messages of congratulations from our customers and partners around the world. I look forward to more awards and recognitions for Creative Virtual as we continue to grow and help define the virtual agent industry. I’ve never once regretted putting my neck out to get my job with Creative Virtual, as it’s been a great place to grow and be introduced to the corporate world. I’m grateful for all the fun memories over the years and for the opportunity to work for a company that has taken the time to focus on employees.